I had just walked out of the Augus Theatre that Saturday afternoon in March of 1946. As I adjusted my eyesight from the darkness of the theatre to the bright light, I noted some people running toward the Chevrolet dealership south of the courthouse square. Then I heard the fire siren atop the city hall building wail its signal to the volunteer firemen. Something was on fire. I was only nine years old, but I still recall the sights and smell of that large structure fire. The Moss Hotel was on fire and the city’s two ancient fire trucks and volunteer firemen were no match for the inferno. I stood on the southeast corner of the courthouse square watching with mouth agape as ashes and cinders floated overhead imbedded in the thick smoke. I was soon surrounded by many other people watching this fire event. The Moss Hotel was located approximately where the car lot for Mike Perry Chevrolet dealership now stands. It was a rambling two-story frame structure and was known far and wide. It was a favorite stopping place for travelers in the days before the automobile. The fire was discovered around five o’clock when Mrs. J. J. Mitchell, who with her husband operated the hotel, went to investigate an odor of smoke. A fire was found inside a box containing four gallons of turpentine which was stored on the back porch. The hotel was in the process of being painted. One of San Augustine’s familiar landmarks, the Moss Hotel was purchased in 1938 by Mr. J. J. Mitchell and had been operated by him and his wife since that time. The Hotel was built in 1908 by Mr. Louis Thomas, who at that time operated a saw mill a few miles from town. It was known as the Caney Creek Lumber Company. When the building was completed it was taken in charge by Mr. J. W. Moss, who came here from Rusk County. Mr. Mitchell stated that an estimate of the value of the property loss would be around $10,000 total. The loss of the Moss Hotel was the second time that Mr. Mitchell’s home had been destroyed by fire. Their home burned around 1931 when some gasoline exploded near an open fire. The loss of this landmark hotel left San Augustine’s already critical housing situation further strained. That event left an indelible mark on my young memory. I had never seen such a large structure burn to the ground before. In fact, I recall that I decided I wanted to become a fireman when I got old enough. However, as I aged that desire waned. I, instead, became an insurance man who would ultimately reimburse property owners for their fire losses. AUSTIN — The Texas Parks and Wildlife Department has adopted fishing regulation changes on two largemouth bass fisheries in East Texas, and new possession rules in state waters for aquatic resources taken in the EEZ (Exclusive Economic Zone) as part of the 2013-14 Statewide Recreational and Commercial Fishing Proclamation. The regulations go into effect Sept. 1. 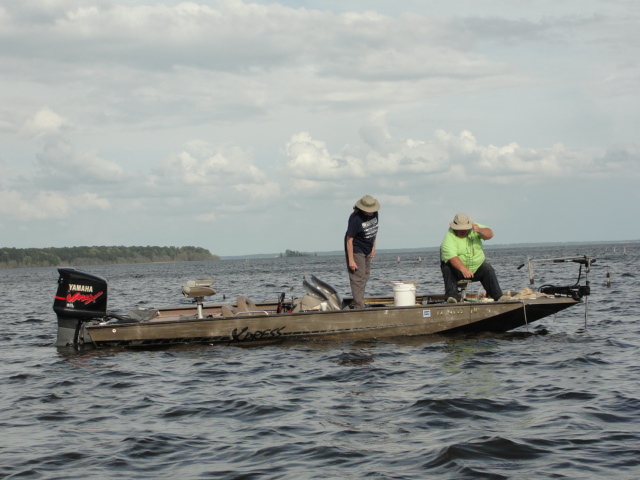 On Lake Jacksonville, the change removes an 18-inch minimum length limit for largemouth bass. 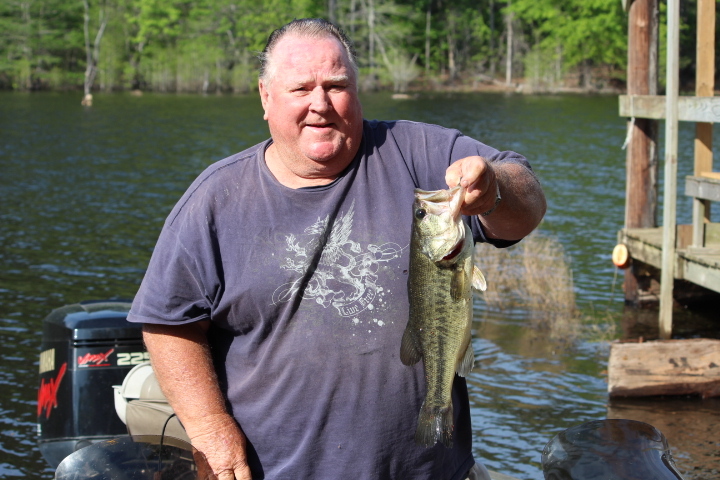 The five-fish daily bag for bass will be retained, but anglers will be allowed to keep two largemouth bass less than 18 inches in length as part of that five- fish bag. For Lake Kurth, the change establishes a 16-inch maximum length limit on largemouth bass, with a temporary retention of bass 24 inches or greater for weighing purposes and/or submission to the ShareLunker program. Anglers will be allowed to harvest five largemouth bass less than 16 inches in length. 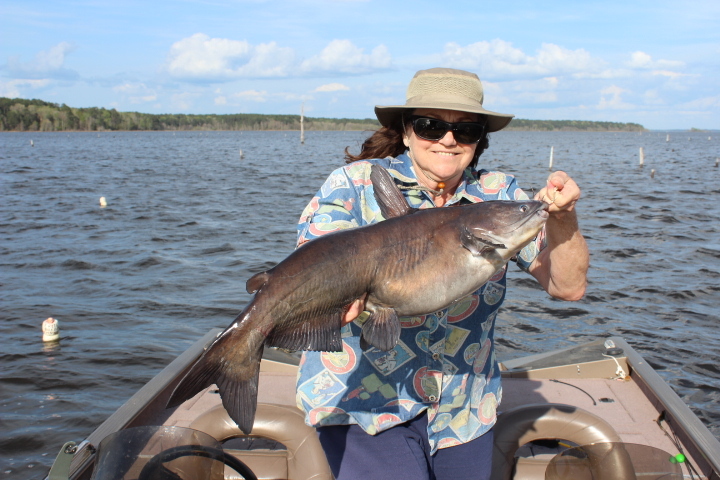 TPWD also adopted changes defining the parameters of handfishing for catfish and restrictions to aid in public understanding and enforceability, specifically regarding prohibition of the use of devices, such as poles, sticks, boxes, and pipes to aid in handfishing. Canyon Lake Project #6 in Lubbock was also added to special regulations for catfish and devices restrictions. The department also clarified the definition regarding possession of fish to indicate possession limits do not apply once a wildlife resource has reached the possessor’s final residence and is finally processed It also clarified the definition of what constitutes a permanent residence. In addition, TPWD clarified the definition of fish harassment to note It is unlawful to use any vessel to harry, herd, or drive fish by any means including but not limited to operating any vessel in a repeated circular course, for the purpose of or resulting in the concentration of fish for the purpose of taking or attempting to take fish. TPWD also removed prohibitions concerning possession of red drum and bonus red drum tags simultaneously. The department also adopted provisions regarding enforcement of federal regulations in state waters. The proposed change would make it a violation for a person to possess an aquatic wildlife resource taken in the Exclusive Economic Zone (federal waters 9-200 miles out) during a closed season provided by federal law; within a protected length limit or in excess of the daily bag limit established by federal law; or with any gear or device prohibited by federal law; or without a required license or permit required by federal law. Wanna be a Texas Game Warden? An applicant must have reached the age of 21 years on or before the date of entry into the Game Warden Training Academy. There is no maximum age limit for employment. Applicants must have successfully completed and have conferred a Bachelors level degree from an accredited college or university by September 1, 2013. Federal law requires that all new employees present original documents that establish identity and U.S. employment eligibility. These documents must be presented at the time of employment. The applicant must possess a valid driver’s license. The applicant must not have had a commission license denied by final order or revoked, or have a voluntary surrender of a license currently in effect. The applicant must not have been discharged from any military service under less than honorable conditions. a conviction for any Class B Misdemeanor offense within 10 years prior to the date of application, which includes convictions for DWI (driving while intoxicated), DUID (driving under the influence of drugs) and BWI (boating while intoxicated) never have been convicted of any family violence offense currently on court-ordered community supervision, probation or parole for any criminal offense above the grade of Class C Misdemeanor. Applicants currently holding Schedule C positions with another state agency in Texas, who meet all minimum qualifications, are selected and complete the Game Warden Academy will return to their current Schedule C salary position after 1 year of satisfactory performance in the field. The applicant may have no current illegal drug use. The applicant must be examined by a licensed psychologist and be declared to be in satisfactory psychological and emotional health for law enforcement duty prior to employment and the issuance of a peace officer license. The applicant must be examined by a licensed physician and be declared to be able to physically perform the duties of a game warden cadet prior to employment. The applicant must meet the minimal standard with or without hearding aids of 35 decibels or better in each of the following four frequencies: 500, 1000, 2000 and 3000 Hz; to include long distance, directional and voice conversation hearing. The applicant must have binocular vision of 20/30 or better with or without corrective lenses, soft contacts or hard contacts. If correction with corrective lenses (glasses) or hard contact lenses is required, uncorrected vision must be no worse than 20/40 in the best eye and 20/100 in the worst eye. If soft contacts are used for correction, uncorrected vision must be 20/200 or better in each eye. Applicant must have uninterrupted peripheral vision of 140 degrees or better, have night vision and be able to distinguish red and green colors (lights and placards). Swim test: Applicant must fall backwards into the water and remain afloat for 30 seconds then swim 100 meters without assistance or rest in no more than 5 minutes. Applicant must successfully complete ALL components of the physical readiness test on the assigned day of testing. Since all activities must be completed in one (1) day, applicants should consider some form of advance preparation for this test. Applicants are encouraged to seek professional medical advice prior to beginning a regimen of physical activity to prepare for this test. Individuals selected for cadet positions will be required to again meet these standards at the beginning of the cadet class. NOTE: Before being allowed to take the physical readiness tests the applicant will be required to provide a description of the test to a physician and obtain a written medical clearance. Ability to testify in court, administrative hearings, and other official proceedings. Assignments will be made where vacancies exist statewide and shall be made in the best interest of the department. Assignments will be made after the successful completion of the academy training period. The applicant must be willing and able to: work state and federal holidays; work hours other than 8 a.m. to 5 p.m. with days off other than Saturday and Sunday; are subject to call 24 hours a day, seven days a week. Cadets may be required to work up to 171 hours in a 28-day work period. In accordance with the Fair Labor Standards Act, the department uses a system of compensatory time off in lieu of overtime payment, at a rate of 1.5 hours of compensatory time for every hour actually worked in excess of 171 hours in a 28 day work period. Cadets and Game Wardens work extensively out-of-doors, during inclement and sometimes hazardous weather conditions, during natural disasters and under other possibly dangerous conditions. At times, wardens and cadets are required to work in highly stressful situations that may be hazardous to their health and safety, which could include working with people who are injured, violent, emotionally upset or otherwise pose a danger. No visible or exposed tattoos from the neck and above, to include any part of the head are allowed. Commissioned personnel shall not wear tattoos, if visible or exposed, are of an offensive manner or nature, while in uniform. Cadets will be required to live at the Game Warden Training Center near Hamilton, Texas, for the duration of the training period, approximately 30 weeks. All rules, regulations, policies and procedures of the Academy must be followed while in residence. An emolument will be taken from cadets for food services while at the Game Warden Training Center. 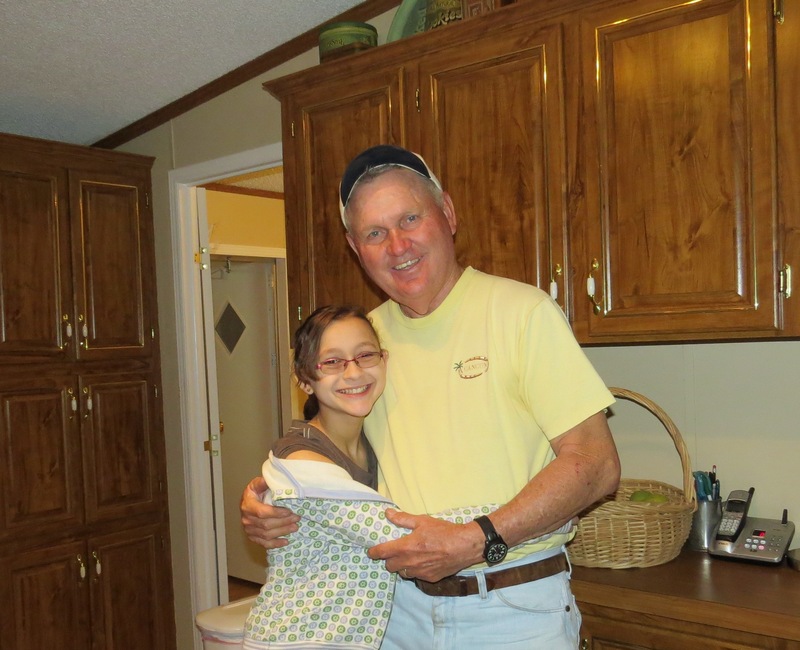 The residents of Hemphill Care Center have enjoyed a wide variety of spring time activities during the month of March. The Hope Family Clowns of Lake Area Hospice brought smiles to our faces with their cheery spring time songs. We also enjoyed singing with Quincy Martindale of Affinity Hospice. We love to hear Quincy rattle the ivories on the piano. Our Resident Council selected Michael McKay as Volunteer of the Month; Margaret Beadle as Resident of the Month; and Amanda Setters and Mamie Ener as Employees of the Month. We congratulate all of the above who help to make our days happy. Melissa and Juanita planned appropriate refreshments for National Peanut Butter Lovers Day, Saint Patrick’s Day, Administrator’s Day, Monopoly’s Birthday, Medical Records Days, and National Bingo Day. We say thank you to friends from the following churches that came to worship with us: First Baptist Church, Hemphill Church of Christ, Fairdale Baptist Church, Bethel Chapel Baptist Church, Community Fellowship Church, Parkway Baptist Church, Antioch Baptist Church, and Bethany Baptist Church. Appreciation is expressed to our March bingo sponsors: Hemphill Church of Christ, Brother G of Heart to Heart Hospice, Parkway Baptist Church, Carletta of Consolidated Healthcare Services, Blair of Texas Home Health, and Callie of Encompass Home Health. They provided great prizes for the bingo winners. Happy Birthday to Ernest Meyer, Mary Ceniceros, Jim Olive, Sherry Mobley, Lonnie Blaylock, Jimmy Curry, and Billy Lewis. Last week we enjoyed lively toe-tapping music with the Pineywood Pickers and CJ the One Man Band. This week we have been getting ready for our Easter party and egg hunt which will be Friday at 2p.m. We enjoyed stuffing plastic eggs with candy and coloring real eggs for the children to hunt. We welcome children of all ages to come and enjoy the fun with us. Family and friends are welcome. Refreshments will be served. We take this opportunity to wish everyone a blessed Easter. May God bless all with days on the bright side. This is bizarre – after you find the guy – it’s so obvious. Once you find him – it’s embarrassing, and you think, why didn’t I see him immediately? Doctors have concluded that if you find the man in the coffee beans in 3 seconds, the right half of your brain is better developed than most people. If you find the man between 3 seconds and 1 minute, the right half of the brain is developed normally. If you find the man between 1 minute and 3 minutes, then the right half of your brain is functioning slowly and you need to eat more protein If you have not found the man after 3 minutes, the advice is to look for more of this type of exercise to make that part of the brain stronger!!! And, yes, the man is really there!!! AUSTIN — Heralding an early start to spring, whooping cranes began breaking camp at wintering grounds in Texas sooner than usual and are making their way back north. Wildlife officials are asking the public join Texas Parks and Wildlife Department’s Texas Whooper Watch effort and watch for the endangered birds as they close out an unusual winter season in the state. Whooping cranes traditionally winter in coastal Texas on the Aransas National Wildlife Refuge and nearby areas, and that site continues to be the primary winter home of the flock that now numbers around 280 birds; however, a significant number of whooping cranes explored new wintering areas in 2012-13. Among the nomadic whoopers, at least two whoopers spent most of the winter in Matagorda County near Collegeport, at least five were observed wintering in Wharton County near El Campo and Louise, and at least 10 whoopers occupied country far from the coast in Williamson County near Granger Lake. In addition, several individual sightings of whooping cranes were reported in Lavaca County and as far north as Wilbarger County. Some of those “non-traditional” whooping cranes also broke with migration tradition this year, said Lee Ann Johnson Linam, a wildlife diversity biologist with TPWD. Some of the Granger Lake whooping cranes departed their wintering grounds as early as February 24 and have already reached northern Nebraska, some of the Wharton County birds are also in northern Nebraska, and one Granger Lake bird that departed on March 12 had already reach the South Dakota border by March 18. The new patterns for whooping cranes are an interesting development, according to Linam. As the whooping crane population that winters in Texas continues to recover, it is a healthy sign that the species is exploring new wintering grounds. Linam also noted that the expansion has been a success in terms of winter survival on non-traditional sites, landowner acceptance, and public enthusiasm for additional opportunities to view whooping cranes. Whoopers usually follow a migratory path through North and Central Texas that includes cities such as Victoria, Austin, Waco, Fort Worth and Wichita Falls. During migration they often pause overnight to use wetlands for roosting and agricultural fields for feeding, but seldom remain more than one night. They nearly always migrate in small groups of less than 6-8 birds, but they may be seen roosting and feeding with large flocks of the smaller sandhill crane. They are the tallest birds in North America, standing nearly five feet tall. They are solid white in color except for black wing-tips that are visible only in flight. They fly with necks and legs outstretched. Texans can help by reporting sightings of Whooping Cranes and by preventing disturbance of cranes when they remain overnight at roosting and feeding locations. Sightings can be reported to whoopingcranes@tpwd.state.tx.us or 512-389-TXWW (8999). Observers are asked especially to note whether the cranes have colored leg bands on their legs. Monday has always been the most unpopular day of the week. After a week-end of rest and relaxation, Monday is the dreaded back-to-work day for the majority of us. To the older generation today, Monday is not such a bad day compared to the way it used to be prior to the invention of the electric washing machine. Growing up in the 1940s it seems that Monday was typically the day the house wives washed all the family clothes, and it was a major undertaking. I recall helping my grandmother, Mary Murphy, and on occasion my mother, Alice, with the day-long chore of washing and hanging the wet clothes on a clothes line to dry. 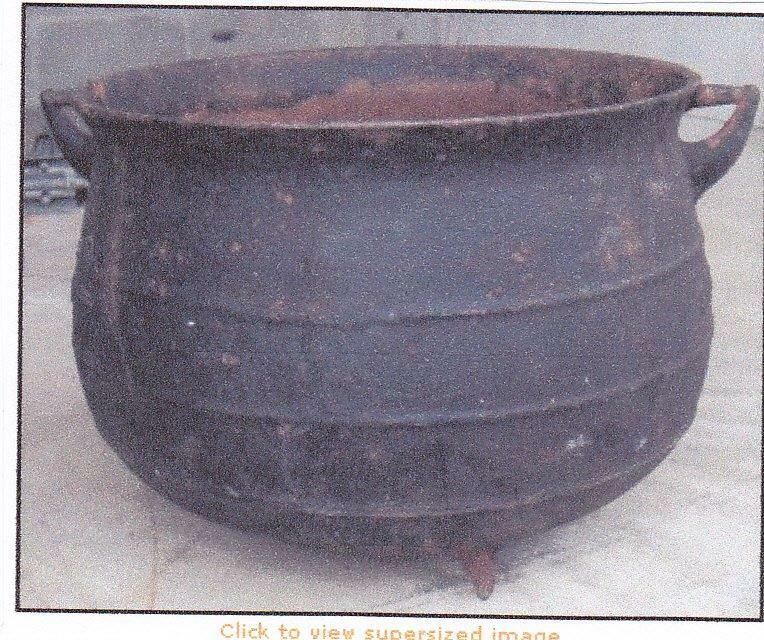 I recall the black iron washing pot conveniently placed by the well in my grandmother’s back yard. It was necessarily close to the well because all the washing water was drawn from that well, bucket by bucket, and poured into the wash pot and two number 2 wash tubs. The wash pot was placed on top of bricks so that kindling wood could be placed underneath it and set on fire so as to heat the water. Hot water was necessary for proper cleansing of the khaki clothes and overalls. 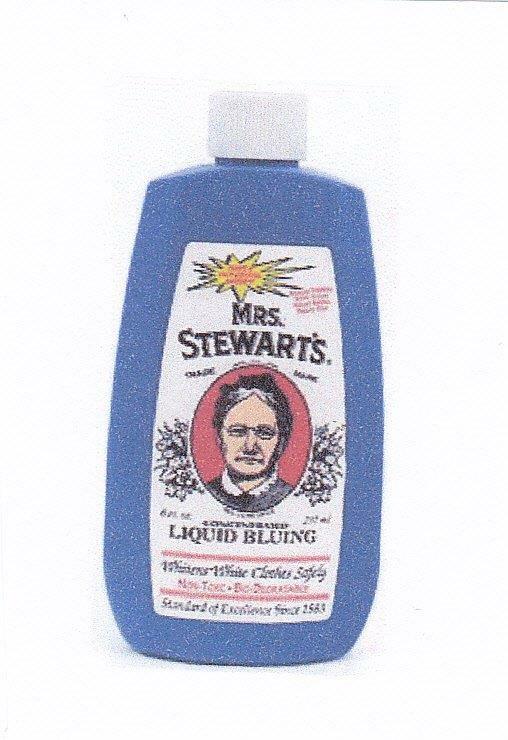 A rub board and lye soap were a couple of other necessities, along with a bottle of liquid bluing, and a package of dry, white Faultless starch. After the water in the wash pot was hot enough, a “load” of dirty clothes were placed in the water and stirred around with a wooden stick. 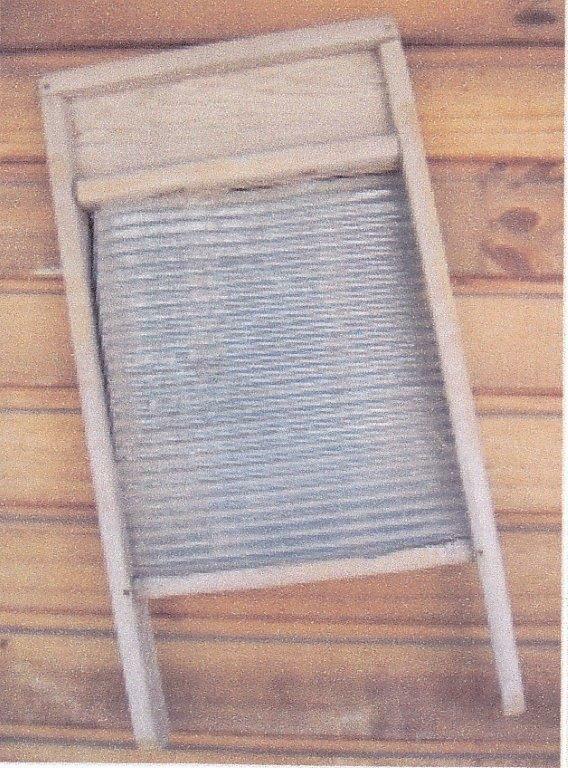 After soaking for a time, the rub board was set in the wash tub and the heavy clothes were rubbed against the board, along with the lye soap. After the proper scrubbing process was completed, the clean clothes were then transferred from the wash pot into a tub of rinse water to soak. They were then placed in a second wash tub with rinse water in which a small amount of “bluing” had been added. The “bluing” made white clothes appear whiter, and the colored clothes looked brighter. Laundry bluing was made up of very fine blue iron powder suspended in water. The bluing was not permanent and rinsed out over time leaving dingy or yellowed whites. After a few minutes in the bluing water, the clothes were wrung out by hand and placed in a wicker basket to await hanging on the clothes line to dry. After all the clothes completed this process, one final task was needed for select items of clothing, such as dress shirts and khakis, and that was to rinse them in a mixture of water and Faultless starch. The starch added firmness to the cloth which was desirable back then. Now it was time to grab the cloth bag of clothes pins, and take the clean clothes out to the lines to be hung out to dry. Drying clothes was at best a crap shoot due to sudden showers that could pop up. Getting sun-dried clothes wet again was not a desirable event. I can recall a number of times when I was sent out in the back yard to get the clothes off the line just ahead of a thunder shower. Tuesday around our house was the day that the dried clothes were taken down from the line, some folded, and others that needed ironing were sprinkled with water, rolled up tightly and placed in the wicker basket to soak. Wednesday was the day to iron the clean clothes. This was a labor intensive chore because of the type irons that the housewives used. They were solid “flat irons” that were placed on the wood stove after a fire had been built inside. Two irons were heated, one used to iron while the other one was heating. When the first iron cooled off, the other one would be hot and ready to use. They were also quite heavy and would tire the arm of the users quickly. I was excited when my mother bought an electric washing machine with a ringer in which to wash our clothes. We still had the clothes lines and sun drying to contend with but the washing process was now so much easier and better for the clothes. Now that most homes have as standard equipment an automatic washer and a clothes dryer, Monday is no longer considered a “wash clothes” day. Wash pots, number 2 wash tubs, rub boards, lye soap, and bluing have now gone the way of the pay telephone – no longer needed. However, taking a look back at how clothes washing used to be done should make one more appreciative of the modern conveniences we now have. I now understand why my mother would get upset with me when I got my pants really dirty. She knew what Monday would be like. 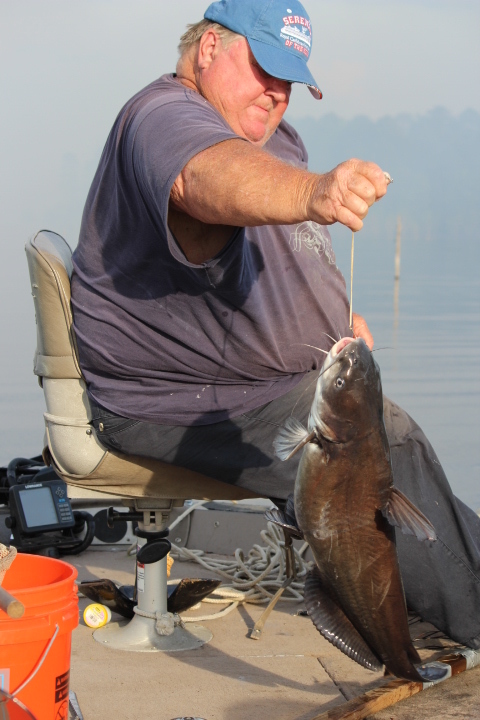 He would try to convince you that this was a five-pound black bass. 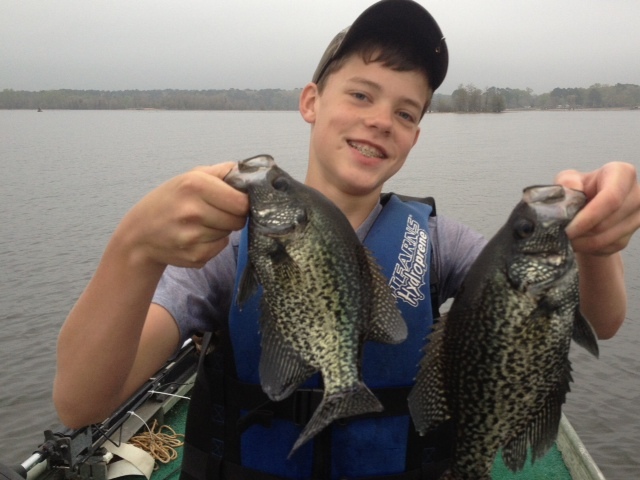 Toledo Bend was one of his favorite spots on this planet. I taught him to jug fish. 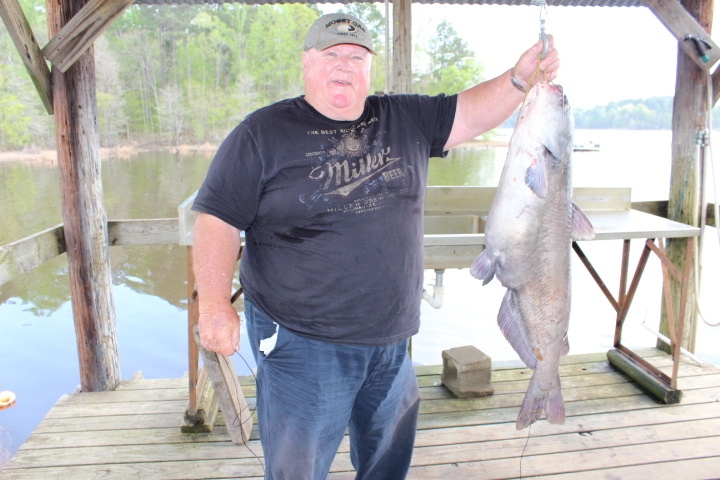 He and his partner caught lots of Toledo Bend catfish on jugs. and especially by the love of his life. Martha took this sunrise photo from their campsite. OH, THANK YOU Freddie, this is SO nice ! I just saw it this morning after getting our daughter to the airport. I will always have the most wonderful memories of our time together at his “favorite” lake, “God’s Country”, he always called it. And, with all our wonderful friends at 944. I LOVE you all and will definitely keep in touch ! !